Looking for a modern coffee table with storage? Small coffee tables and large coffee tables add to the beauty and functionality of your room. There are some must-have pieces of furniture which complete your living room decor, and coffee tables are one of them. A beautiful coffee table is the heart of a living room, a centerpiece that completes the look and functionality of your living space. Walk into any home today and you can be sure that a large or small coffee table is waiting for you to feast your eyes on, place your legs on, and put your cup on. In addition, today’s modern coffee tables are no longer being used for just holding drinks. Instead, they come with practicalities like drawers and shelves for you to keep things like your books and stationery in. Living room coffee tables are one of the most satisfying home pieces, and with our cheap, modern coffee table, you can complete your living room style for less. Check out the following coffee tables with storage and choose the best one to suits your taste and living room decor. 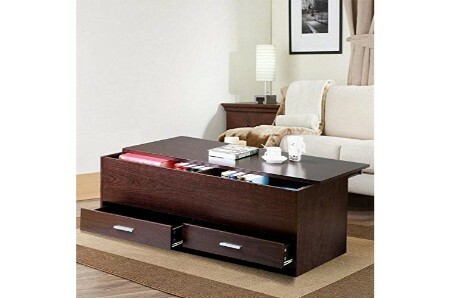 Are you looking to buy a new modern coffee table with storage? When choosing a small coffee or a regular coffee table for your living room, there are several elements to consider. These include materials, colors, and styles. Let’s take a look at each now. Material - Modern square coffee tables with storage are made with more than just wood. New coffee table designs feature glass, leather, aluminum, metals, and other interesting materials. These non-traditional materials add interest and dynamism to your table and your living space. Many people like classic wood and glass coffee tables for their living room design. But choosing something different and injecting some personality into your space can really add oomph to your decor scheme. Regardless of which materials you prefer, our coffee tables are of the highest quality so you can browse through our collection with full confidence. Size - Before selecting a coffee table, consider what size and shape you’d like. Round coffee tables with storage look pretty and impressive, but they aren’t the best choice for you if you have a small living room. In terms of space, square coffee tables with storage work better. These come in a range of styles and sizes so don’t feel limited by the space you have to work with. If you have an airy, spacious room, consider a large circular table with storage. A statement piece, these tables are sure to impress. Browse our collection of both round and square coffee tables with storage and find the perfect one for your room. Color - Our collection of modern coffee tables come in various colors including black, brown, white, metallic, and more. To make your living room decor complete, choose your coffee table carefully. Opt for a color that either ties into your existing scheme, or contrasts with it. Both will be complementary. Choosing an unusual coffee table will give your room a lot of new design elements with interesting materials to look at. For a stunning visual effect, place a colorful round coffee table in an area where natural light will hit it. Place two or three decorative items on top to complete the look. Style - Choosing the perfect square coffee table is also a matter of choosing a style that fits the nature of your living room. Curvy, sumptuous glass tables are perfect for expansive living rooms. Solid brown, sturdy tables fit well in traditional settings. And chic black tables look good in formal spaces. Our collection of coffee tables with storage are brilliantly designed and will serve you well in any setting. Choose a table that fits your personality and fits your living room’s style. Check out our collection of the best coffee tables with storage for ideas. It's the real deal, brown wood coffee table, made by: Best Choice Products, upgrades your style, amazing home décor stylish accessory. 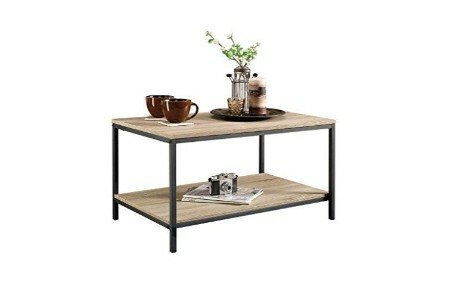 Made of top-level wood low price modern coffee table, such an amazing item and so beautiful! Ingenious coffee table, by: Sauder Woodworking, model: 420275. Made of first-class recycled materials, the best decorative coffee table, a sublime living room adornment. It's the real deal, a very unique décor piece that's sure to turn heads. This simple and understated design is the best wood coffee table, made by Yaheetech, an amazing living room fine accessory. Made with the finest wood. Now on limited time discounts for this transitional coffee table, super fun! If you love style and design you will need this cherry wood coffee table, brand: Steve Silver, a beautiful living room adornment. Made with top-notch wood. Such a special nautical coffee table, coolest decor item ever! Exactly what you need. Fine chalked chestnut coffee table, by: Sauder Woodworking Company, model: 419096. Made with the very best recycled material, a cool home décor artistic accessory. Ingenious invention, check out this modern coffee table, very affordable. Experience an adventure with this coffee table, produced by Sauder Woodworking Company, an extraordinary living room masterpiece. Get it cheap, on sale, the best minimalist coffee table, it's absolutely stunning and unforgettable. Artistic rustic wood coffee table, manufactured by Dorel Home Furnishings, model: 5741215COM. Made with the finest wood, a must have living room fine accessory. Don't you just love transitional coffee tables, that's just the beginning! Finally, this epic craftsman oak recycled materials coffee table, made by Sauder Woodworking, surprising home décor elegant piece. Made of top-notch recycled materials. Now on discount, such a great nautical coffee table, cheers! Fantastic modern coffee table, brand: Yaheetech, model: YT-00074569. 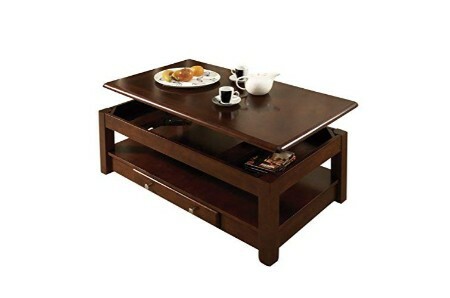 Discounted elegant coffee table, top of the line living room classic accessory. This smash hit modern coffee table, looks absolutely amazing and unique! What a beautiful design! An awesome brown coffee table, by: Tangkula, a superb living room artistic accessory. Made of the highest quality of wood and metal. Low cost minimalist coffee table, amazing and affordable unique piece! Really worth it. Gem black coffee table, produced by Bonnlo. Made with classic wood, the best extravagant coffee table, astonishing home décor classic accessory. Probably the coolest transitional coffee table, it’s an amazing décor item! Brilliant black wood coffee table, made by: Dorel Home Furnishings, model: WM4057B. Made with fine wood, low cost splendid coffee table, a must have living room masterpiece. An awesome nautical coffee table, it's completely staggering. Refined black coffee table, made by Homury. Made of the finest medium density fibreboard, an affordable classic coffee table, nostalgic living room brilliant masterpiece. A really unique modern coffee table, looks absolutely amazing and unique! Now you can get the best rustic brown wood coffee table, created by Grantec Co., a beautiful home décor enhancement piece. Material: top-notch wood. 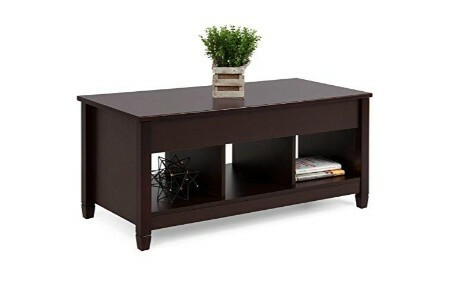 Discounted minimalist coffee table, also makes for a really unique décor piece! Aesthetic chocolate brown coffee table, manufactured by: Simpli Home, Ltd., model: AXCOT-265-CBR. Luxury coffee table, surprising living room adornment. If you're looking for a really unusual idea, check out this décor item, it sure is gorgeous. Nostalgia is back with this walnut wood coffee table, manufactured by: Ameriwood Home, amazing living room elegant piece. Made with the very best wood. Discounted nautical coffee table, such an amazing item for such a low price, enjoy! Tasteful driftwood coffee table, by Walker Edison, model: AZ40MSTAG. Made of the finest wood, a surprising home décor layout accessory. If you want to add a touch of style you need this modern coffee table, incredibly cool! You need this in your life! An espresso brown wood coffee table, a piece by Furinno, a superb living room showpiece accessory. Made with top-level wood. A very special minimalist coffee table, amazing and affordable unique piece! This amazing cherry/black coffee table, made by: Dorel Home Furnishings, must have living room fashionable piece. Made of supreme wood. Top of the line transitional coffee table, a great masterpiece. Will fit perfectly into your new living room. Tasteful black wood coffee table, manufactured by: Dorel Home Furnishings, model: 5047196PCOM. Made with classic wood, customized lavish coffee table, a must have home décor item. The best-selling nautical coffee table, a perfect work of art! Brilliant metal coffee table, manufactured by: Tangkula, model: AM1369HM. Now on discount stylish coffee table, a must have living room classic accessory. It's the real deal, such a unique modern coffee table, a masterpiece! It's the real deal, an amazing black wood coffee table, created by Winsome Wood, nostalgic living room elegant piece. Made of prime wood, dimensions: 38 inches. This top notch minimalist coffee table, a masterpiece! A unique design, like on other. This is hands down the coolest brown wood coffee table, produced by lift top table, a beautiful home décor enhancement piece. Made of fine wood. Now on discount, very stylish transitional coffee table, fun and affordable. A showpiece grey wood coffee table, by HomCom, model: B06Y2H674Z. Material: supreme wood, the best enlivening coffee table, a beautiful living room brilliant masterpiece. The astonishing best seller nautical coffee table, a perfect work of art! Some items in a room are just for aesthetic purposes, but that’s not the case with large and small coffee tables with storage. Besides chairs and sofas, coffee tables are the most functional pieces of furniture. After all, can you really imagine a day without coffee? These types of tables also complete the design of your living room. In fact, your living room will look vacant and incomplete without a coffee table. Selecting a coffee table that’s right for you takes a little bit of consideration as there are many different styles to choose from. Below are a few things you should know before purchasing your new coffee table. Material - Coffee tables can be made from several materials including but not limited to glass, wood, marble, metals, as well as leather and other interesting materials. You’ll be amazed by the designs manufacturers can create with unique, eye-catching materials. Styles - The first thing every visitor to a room notices is the decoration. This includes the placement and arrangement of items, designs and patterns, and your furniture. A good coffee table is not all about keeping things handy, it also contributes to the overall decoration of your room. You can use your table to add wow factor to your theme. To make a statement, consider some of the following coffee table styles: modern, industrial, contemporary, mid-century, parsons, Scandinavian and rustic. In addition to the material and the style, coffee tables also vary in size, with some having ample storage spaces. Whatever theme or design you want your room to portray, we’re sure there’s a special kind of table that will meet both your needs and design aims. We just can't get enough of this metal bookcase, manufactured by Sauder, a beautiful home décor accessory. Made of top-notch metal. This top notch minimalist bookcase will take your breath away. Be sure to check it out when designing your home. If you are like us you can't get enough of this sonoma oak wood TV stand, a piece by Dorel Home Furnishings, a cool home décor fine accessory. Made with high quality wood, size 50-In. On sale, the best modern TV stand, exceptional. Ingenious oak office desk, a piece by Sauder Woodworking, model: 420032. Made of high quality recycled materials, the best lavish Office Desk, a radiant office layout accessory. Finally, this epic nautical office desk for a great price. This is a kickass new rustic oak TV stand, made by Generic, a must have home décor classic accessory. Material: supreme oak, size: 47.24x15.75x19.09Inches. 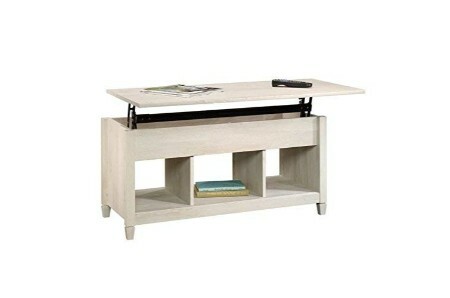 The best deal for transitional TV stand, firm and solid décor item. Luxurious oak bookcase, by: Sauder Woodworking, model: 420276. Made of recycled materials, least expensive cost for such a bold Bookcase, a delightful home décor masterpiece. Check out this minimalist bookcase, and that's just the beginning! Now you can get the best oak TV stand, produced by Sauder Woodworking, a surprising living room elegant piece. Material: prime recycled materials. Customized modern TV stand, limited edition. An incredible item for the new living room.